Budget gaming mother/son build. This was fun! 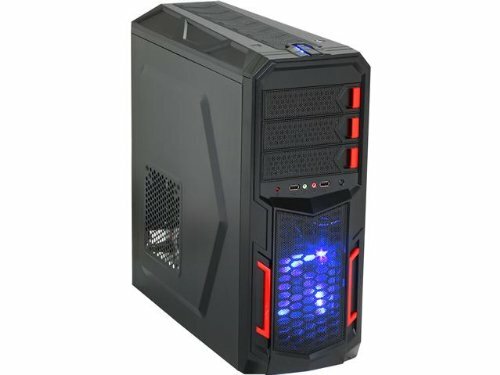 My son saved his money and we researched and with the help or PCPartPicker built this awesome gaming computer for under a thousand dollars. There is room to grow as he saves more money. We will get another video card for SLI and the motherbard, CPU and video card are overclockable! This computer is solid. Even the cheap case we got was pretty awesome with side cable management , three fans and loads of room. Getting the parts in was a breeze and lots of fun. A local computer repair shop was going out of bussiness and gave my son the anti-static mat and some other small parts like a keyboard and mouse. Later on we will get some better ones but those are great for now. Don't be intimidated ! It is easy. Do your research and pick a budget. Anyone can do it and it really is fun! By the way my son is 11 and has been an avid gamer since he was 3~! Everything fired up when we plugged in and tested. We pretty much bought everything on Newegg because with the help of PCPartPicker when everything had a promotion, rebate and combo we pulled the plug and bought them. We saved about $200 at least that way! I will add more information and pictures ( I did not get any with cables looking nice yet) as we try different games. EDIT and PS:Thanks for all the tips and comments. We are getting another memory stick to match that one. We just did not have the funds last week. I do have a better CPU cooler on my favorite parts list that we will get before we try to overclock. Thanks for the comments and I realize I should have gone with a bigger PSU to be able to add a second video card but since that may take a while we will be good for a long time. EDIT 2- Just added a second memory stick! Future updgrades will be: Better CPU heatsink fan A second GPU for SLI and a bigger PSU to go with that! So we kept the build under the top of our budget! It is 10 months later and I am updating to add the keyboard and mouse my son bought! He got a Microsoft Sidewinder x4 Keyboard and a 1 x Perixx MX-1000 Iron Gaming Mouse - 7 Programmable Button, 5 User Profile, Omron Micro Switches, Avago 2000DPI A3050 . and a Perixx Gaming Mouse pad. all for around $77 dollars. 10 months later and there are no issues with this awesome computer! Haven't seen a mother/son build on the site before so automatic +1 from me! Thanks RyneSmith anbd yes for the RAM- This stick came free so we will be getting another ASAP with my new paycheck! Can't pass free when you have a very tight budget! Very nice sorry if you put that in the comments and I simply didn't read it! No that is OK I like the information! It is all great! ask her!!! Show her this. She just might :) Good luck! i picked out parts for us to build! but she's just not into that. But i will show her this! Mother and son? That's great, keep your kids close. As others have said, pick a nice CPU cooler out and this is a fantastic build. Regardless, +1. dshutt84 Thanks! Yes for the RAM. Getting it as soon as I get next paycheck! Reason I did not was because that stick was a combo and free and our budget was really tight but that is my first on the list. Thanks for the tip on the H212 Evo! That is in our list so we can overclock it in the future! Don't overclock without the Evo. 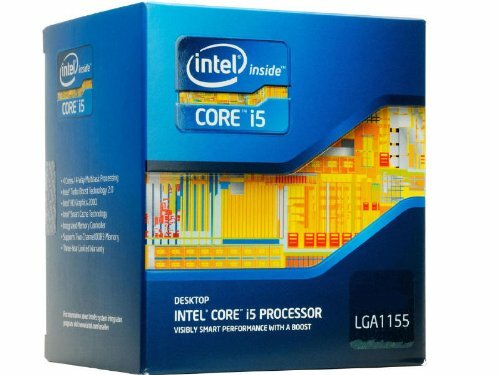 If you use the intel one you'll kill your CPU and more. YES! I will be upgrading that before we try to overclock! Thanks. Yes. I am adding it sooner than later so I don't run into problems finding the right one. It makes the system run more stable. You just won mom of the year award. First time I've ever seen a mom and son build, that's pretty awesome. Mom is the geek in the house :) Son takes after me ! Thanks! You got some awesome builds! Very nice! As other people mentioned, add a cooler and you're golden. 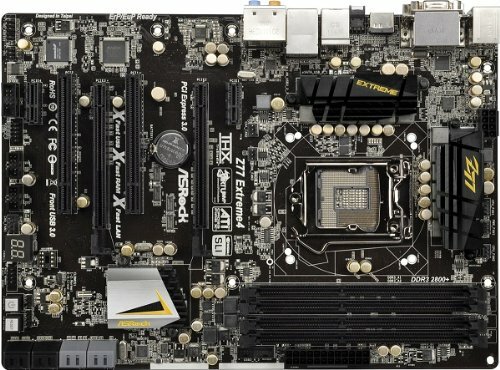 I have the same mobo, I really like it. Great! Good to hear that. 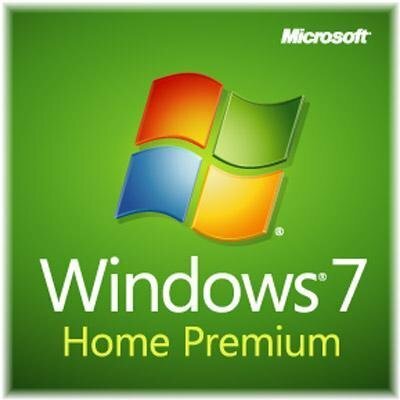 There are so many choices and since my son wanted windows 7 and our budget was so tight ( even his 7 year old sister gave him $50 towards it). I think that is a good price! Yeah, I don't think you can beat that mobo for quality/price, in that range. Good choice on the 760 its a real beast! Awesome. I was going to go with a different one until I found the 760 and read about it and I was sold! We are so excited. No sleeping here tonight! Great system! I recently ordered the parts for my new computer, they are at the house, im still in afghanistan. When i get back soon, my kids and I are gonna build it together. Cant wait to post my finished build on here. Awesome! I bet they can't wait! Good luck over there and be safe. Let me know when it is done ! Very solid build, the 760 SLI when you do it will be amazing. Just checked power consumption, you may want to upgrade your PSU at the same time. AH_Banana, PCPartPicker still shows my comsumption unde the 600 with another video card but I am keeping that in mind. Thanks for the tip. Good rule of thumb is to get a PSU that can handle 25% more than the system consumption (especially if you are considering overclocking. Sounds like a plan then :) Thanks. yes a 750 gives enough headroom to be efficient. Great build for the price! thanks :) Yeah budget is the big thing when picking parts. We wanted something we could upgrade and get the most bang for the buck. Being able to overclock and get another video card for SLI was the way we went. 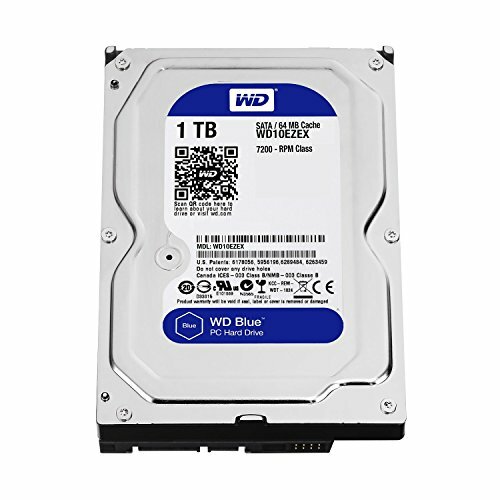 I think this computer will be good for years until we need to build a new one and it will still be a great home computer for me to tinker with in the future. He must be lucky. I am 14 and I have to get all of the money to build a pc by myself, no parent help. I got the money now though, so I am currently going to buy my parts this week. Yep, I have been spending about a month or two of reading what is best to get. Toms hardware tends to freeze a lot for me though. Hahaha, ironic? Anyways, I will probably reply to this with a link when it is done so you can see! Im absolutely loving this build! You and your son did an amazing job! One thing though. 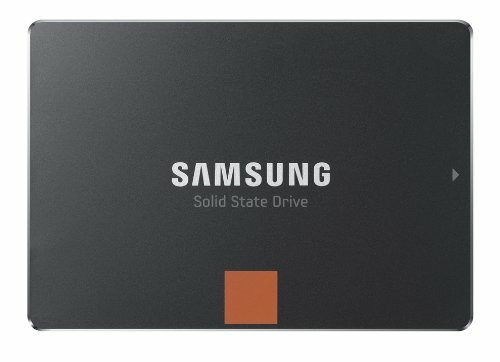 For only like $10-15 more you could have gotten the pro version of that SSD. Has much faster write speeds. Other than that incredible job! Will add to my list of future purchases. thanks! This is really awesome! Great build and well balanced. And that's really great that you got involved and built it with him, kudos to you both! thanks ! We both had so much fun. He slept like 3 hours last night ! Very nice! You and your son did a great job! +1 From me! Hope theirs more updates in the future! gotta luv the women gamers...my wife is as ate up with it as I am...and we are so old we don't buy green bananas! Must be fun to game together...unless you are very competitive! Get her involved! Tell her it is like putting a puzzle together! She may enjoy it. Or just build one for her! She will love it I am sure!! Awesome build! Well done both of you! I have thought about it :) Do you suggest one in particular? Awesome ! Thanks. That is the next thing in the list! A good cooler and overclocking! Thanks I will check those out! I got to post more pictures after we got the cables all cleaned up. IT looks much better! I was surprised how much I liked the cheap case! IT has cable management on the side panel, space for lots of things. It is pretty decent. Came with three fans that run smooth and quiet. We are pretty satisfied with it. I am sure compared to some! But when you have a budget you chose to spend more on what matters! Awesome!!!!! He is a lucky kid! This is a good midrange build. One question and please reply, how come i look through some peoples build and they get things at 0.00 $. how is that possible? You can mark 0.00 if you already had something. Like if you already have the monitor or the graphics card. So you did not have to buy it :) Does that answer your question? Hey I loved that you guys worked on this together. I may try doing so with my own son and/or daughter when they get a few years older if they are interested. Just a few suggestions: first I didn't see one in the pictures, so let me suggest getting a wrist strap for when building or working on the interior of the case. Second, if you go water-cooling with an all-in-one (known as AiO) loop, check to see if your case can handle getting the big radiators before getting one. Assuming that fan on the back of the case is a 120mm, then you will always be able to fall back on the single-fan sized radiator. For reference's sake, (from the Corsair line of AiOs) anything from H80i and below will use 120mm fans and you can simply pop out that rear fan and put the radiator/fan in place of it. The H90 uses a 140mm fan, so it might not fit. The H100, h100i use 2 side-by-side 120mm fans, and they will have to fit at the top of the case blowing up out of it (and leave your rear fan where it is). The H110 uses 2 side-by-side 140mm fans, so it may be out, size-wise. I'm not sure if your case will work with those or not. It would be a shame not to overclock that K Intel processor. Just watch for fan noise (if you care about that). The Swiftech H220 may be better than the H100i by some reviews I've read, but it is more expensive, so I guess it depends on how much cooling you want to pay for. Great job on this build. I'm completing my own for the first time with an AiO cooler, so I just want to pass on a little extra knowledge of it. Have fun with this! Hey thank a lot for the Water cooling information!! that was really helpful. The pre-installed fans are 120mm with an optional side up to 140mm. The top fan and the top of the case has a compartment that looks like it is a space for a radiator. I would have to measure to make sure but that is what it looks like so I think I have space dedicated to a radiator. up on top. We will overclock sometime for sure!! We pick the parts so we could. My son does not want to do it now. He is so careful with the computer he is a little worried something will go wrong I think but give him another few months ! We had a special mat we got so we did not need the wrist strap! We were also very careful working on it :) Do you think an H80i would be a good choice ? Yeah I think you want to go with the H80i or comparable size when you do get one. I looked up your case and that is the most likely to fit. I like the "i" type since you will have the Corsair Link software (be sure to update it after you get it as that apparently eliminates a bug that made it run too loud). You would be able to manually set how you want the pump and fans to run, plus having the eye-candy (it can be functional, showing how warm it is, if you change the setting) of changing the color of the LED in the heatsink on the CPU. 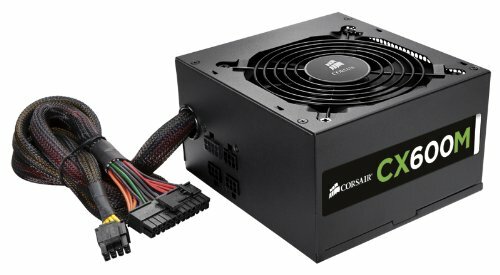 The Link is what put me on Corsair over other offerings, but I'm sure there are good ones. Don't worry about overclocking until you guys feel ready. Just think of it as something else you can do with the computer, if you don't want to, or worry about it, then don't feel like you have to. And if you do, the key words are "be patient". Take your time and slowly increase the speed. I recommend looking up overclocking guides online and you can probably find one for just your CPU and perhaps your particular motherboard as well. As for performance, for comparison's sake, my h100i is giving me single digit (in celsius) for my FX-8350 around idle, and doesn't go above 45 at load, but I haven't gotten a chance to try overclocking it yet. The h80i won't give you quite so low a temp in the same situation but will work fine, especially since the Intel chips are a bit better thermal-wise, I think. Do be sure you have an extra SATA power connector for your power supply since that is what it will use. Thanks!! My son does not even let me play in his computer anymore! He loves it! I have helped a few more parents build computers with their kids since we did ours. They have all told me how amazing it was to do it with their children!! Very nice. Might have to make one similar the next time that I build. As for that hair, looking awesome! When I was that age I had failed blonde streaks (I have brown hair). I was nicknamed leopard for such a long time. Glad to see there are other kids that are unique! And man, what a lucky kid. I'm the only one in my entire family, that loves this sort of thing. Hope you guys are enjoying it! Now our plan is to build one for my 8 year old daughter and gamer! Her old one is in it's last breath! I don't understand how all these mothers and 15 year olds say they built these things, then use word phrases like "solid." Who the hell talks like that who isn't an IT pro? We bought that for the old computer so we had it before we build. I kept an eye on sales and craigslist! Good selection in parts. +1 from me! Another Dad of the Year contestant. Nice of you to make him save for this. And at 11, he already has an insane system. Excellent choices all around. The only thing that I'm not a fan of is the single stick of RAM. I'd rather have seen dual channel RAM. 2x4GB. Otherwise, awesome. Lucky kid. EDIT - saw comment about free RAM. So, yeah just get another one when you can...no rush though. Is that $1043 price accurate? I got all fixed and the prices explained now! thanks! He is a great son! Piracy advocacy is not allowed on our site.